Islamism with a Human Face? Until now, Islamist rule has implied violence and dictatorship; can it evolve into something decent? Put differently: if the brutality of Ruhollah Khomeini and Osama bin Laden marked them as yesterday's men, and the autocracy of Recep Tayyip Erdoğan and Mohamed Morsi make them today's men; can tomorrow's Islamists – Muslims seeking a consistent and global application of Islamic law under the rule of a caliph – become democratic and humane? Islamism has significantly evolved over the past 13 years. As recently as 2001, its adherents were synonymous with criminals, terrorists, and revolutionaries. In this spirit, I wrote three days after 9/11 that many Islamists "are peaceable in appearance, but they all must be considered potential killers." These words ring archaic now, at a time when Islamists find the ballot box a more effective means to power than the gun. Terrorism and coercion remain widely in use, to be sure, implemented by barbaric groups like ISIS and Boko Haram. Yet, some reforms of Islam are already underway. In Turkey, a few key Islamists – notably Fethullah Gülen, leader of the country's most influential Islamist organization, and President Abdullah Gül – seem to be evolving away from aggressive dictatorship. For example, Gülen criticized the Turkish government's role in the 2010 Mavi Marmara incident against Israel. Gül's willingness to treat the Gezi Park protests sympathetically contrasted with Prime Minister Erdoğan's ferocious response. Gül's wife Hayrünnisa (who covers her head) visited London in 2010 and when asked about her thoughts on elementary schoolgirls wearing hijabs, replied that "A girl cannot decide on her own to wear the headscarf at such a young age. She should decide for herself when she is old enough." With Gül in charge, could Turkey's AK Party actually become the socially conservative movement of teetotalers, modestly dressed women, Ottoman sentimentalists, and capitalists it now only pretends to be? Or would he become as aggressive as Erdoğan? Hayrünnisa Gül, wife of the Turkish president. In Iran, Hassan Rouhani's promise of a less rigorous Islamism touched a chord in an electorate longing for normality. Symptomatic of this, hijabs in Iran have evolved away from the stark and frumpy coveralls of yesteryear. Led by designer Farnaz Abdoli and her Poosh line of clothing, Iranian women now enjoy fashion choices inconceivable a generation ago. Left: A chador-clad Iranian woman from the time when the Islamic Republic got started in 1979. 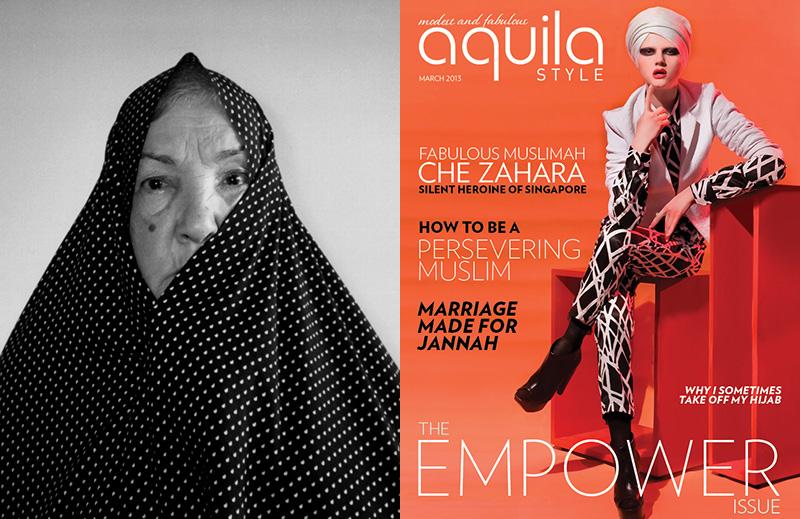 Right: Fashion magazines for covered women, such as Âlâ, Aquila Style, and modestyle, symbolize the changes within Islamism and the attempts to make it less austerely doctrinaire. In Jordan, the Zamzam Initiative has broken away from the Muslim Brotherhood, arguing against its "monopoly on Islamic discourse" and calling for Islam to be "a cultural framework that encompasses the nation while emphasizing religious, sectarian, political and racial pluralism." In Egypt, many younger activists repudiate Morsi's power grab. Spokesman Hamza Zoba'a accused the Muslim Brotherhood of having "committed errors" and of falling "into the trap of ruling alone." Ali Khafagy, a leader in Giza, held that "The time will come to hold our leaders accountable and demand change. And there must be changes. We need people who are more open, more willing to work with everyone." One observer, Tarek Osman, sees the brotherhood succeeding by tamping its dictatorial urges and evolving "almost beyond recognition." In Tunisia, as the ruling Ennahda party faces crises, Vice President Abdelfattah Mourou has shown an uncharacteristic openness to compromise with non-Islamists while the party itself works with its leftist rival, Nidaa Tounes. I have argued for decades that Islamism, like fascism and communism, is by nature dictatorial, for all three share a radical utopian mentality, a glorification of the state, and a drive for global hegemony. I disdainfully compared a moderate Islamist to moderate Nazi, noting that while Erdoğan and Osama bin Laden deploy different tactics, they both aspire to apply the same medieval law code. Communism suggests two possible paths of evolution. 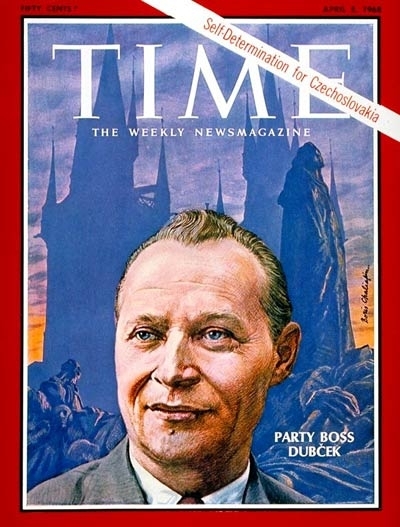 In the Prague Spring of 1968, Alexander Dubček sought to build "socialism with a human face," meaning a communist order with multiparty politics, abundant consumer goods, and freedoms of speech and movement. The Communist Party of China has overseen a radically un-Marxist capitalist boom. Alexander Dubček tried to create "socialism with a human face" but Soviet troops intervened. The deeply anti-modern and authoritarian nature of Islamism leaves me highly dubious that something civilized and worthy can emerge from this ideology; most likely, recent positive developments are merely tactical and temporary. But I no longer can reject with certainty the possibility of Islamism evolving and somewhat improving. May 20, 2014 addenda: (1) For further discussion of the Erdoğan-Gül-Gülen triad and their democratic credentials, see my weblog entry, "Must Islamists Be Autocratic? (2) Some readers have asked if I did not mean Islam can become democratic, have a human face, and so forth? No, that is the topic I covered a year ago at "Can Islam Be Reformed?" This topic is quite distinct from and much more tentative than that one. May 24, 2014 update: Andrew McCarthy responded to this column and I replied to him at "Islamism's Trajectory."